Amazon.in today announced the return of its biggest festive celebration 'Great Indian Festival'. Wave 2 of the 'Great Indian Festival' will start tonight at 12 AM and end on 11:59 PM on 28th October. · Realme 1, the most affordable 6GB smartphone, at INR 10,490 with No Cost EMI and Free Screen Replacement worth INR 4,000. 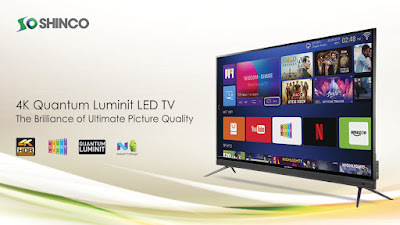 · Mi (49 inch) Android Smart TV flash sale at 11 am on 24th October, limited stocks only. · Up to 90% off on Amazon Fashion; Extra 15% cashback on all Amazon Fashion prepaid orders. · All New Echo Dot 3rd Gen at INR 2,999. Echo Dot 2nd Gen at INR 2,449 (until stocks last). · All New Echo Plus 2nd Gen at INR 11,999. · Amazon Echo at INR 6,999. · Offers up to INR 4,000 on other Echo devices. · Offers up to INR 1,000 on Fire TV Stick. · Offers up to INR 3,000 on Kindle devices. · Get one year of Kindle Unlimited at INR 2388 1,499. · Kindle eBook bestsellers starting at INR 19. · Up to 70% off on Alexa Built-in devices. · Take Alexa wherever you go! Up to 50% off on “Alexa on the go” devices. · Up to 70% off on Alexa Built-in speakers starting INR 1,499/-. Realme, the smartphone brand that specializes in providing high quality products for youth, is all set for the second Big Billion Days sale. The ‘Proud to be Young’ brand recently created a milestone by selling 1 Million devices during the first round of Big Billion Days sale on Flipkart, this festive season. The brand is again geared up to create another mile stone by opening sale for the much loved devices Realme 2, Realme 2 Pro and Realme C1 on Flipkart with No EMI cost. Realme 2 and Realme 2 Pro will come with an attractive 10% discount offers with Axis Bank Credit and Debit cards. Realme’s first ever device Realme 1 will be again open for sale on Amazon during it’s Great Indian Festival. Realme 1 variants with 4GB RAM | 64GB storage and 6GB RAM | 128GB storage will be given away at INR 9990 and INR 11990 respectively. With the Helio P60 and 6RAM+128ROM, Realkme 1 is a strong device with the most powerful performance under 12K segment. The offers will be available from 24th to 28th October on Amazon's Great Indian Festival. Realme C1, the king of entry-level smartphones, will be open for sale on October 24, 2018 from 12:00 Noon onwards. The smartphone is the first device to have a notch full screen in its price segment and has a 6.2-inch super large screen. The device has been priced at INR 6,999/-. Selling 1 Million devices in just 40 days, Realme 2 has created a specific space for itself in the market having the highest rating in 10K segment on Flipkart. The customer favorite smartphone with shiniest diamond cut design and the full notch screen will go on sale fro 00:00 Hours (October 10 midnight) on October 24. With ‘Max Power, Max Style’ proposition, Realme 2 Prio has become a benchmark in the mid-range segment. The flagship device of the young brand will go on sale from October 24, at 00:00 Hours (October 10 midnight) onwards. Realme 2 Pro is equipped with up to 8GB RAM and 128GB ROM, and supports 256GB microSD card extension. It comes with LPDDR4X four-channel memory, that increases the processing frequency, consumes 40% less power, starts apps faster, and runs multiple apps smoothly. With 128 GB storage users can access 27000 photos or 200+ movies in this phone. 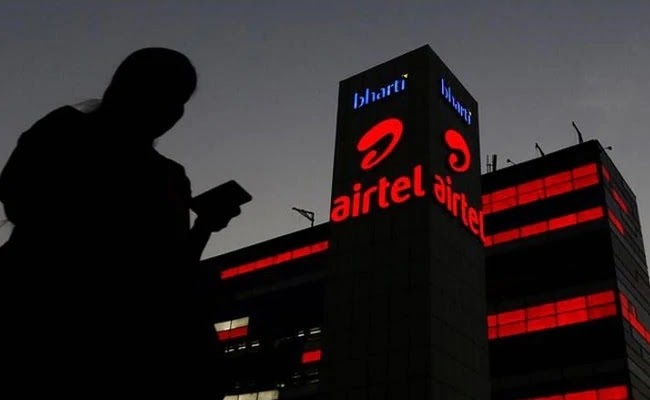 Airtel India today followed the footsteps of Reliance JIO and announced Rs 2000 cashback on purchase of new 4G smartphones. The cashback will be credited in user's MyAirtel app in form of 50 Rs coupons, 40 in number. Amazon’s Kindle Direct Publishing (KDP) Pen to Publish Contest which celebrates the work of self-published authors, across all genres, will launch its second edition this year. The contest will be bigger than ever as it is now open to writers in Hindi and Tamil languages in addition to English. Winning authors in each language for long-form content (more than 10,000 words) will receive a prize of ₹5 lakh and a merchandising deal for the winning work, as well as 1-on-1 mentoring by a popular author. Additionally, the contest will also accept entries for short-form content (between 2000 to 10,000 words) in Hindi, Tamil and English languages. Winners in the short-form segment, one for each language, will win ₹50,000 each. All shortlisted finalists across both forms of contents win a Kindle E-reader. To participate, authors need to publish their original and new work through Kindle Direct Publishing on Amazon.in from 10th November 2018 to 9th February 2019. In addition to customer feedback, contest entries will be judged on creativity, originality and quality of writing. Up to 5 finalists will be short-listed for each language and content form combination, and one winner will be selected from each segment. The judging panel for the contest includes best-selling authors Ashwin Sanghi, Rashmi Bansal, Divya Prakash Dubey, Sundari Venkatraman and Pa Raghavan. “After a successful first year, we are delighted to make the contest even bigger this year. This time, we aim to unearth great stories and storytellers in Hindi and Tamil languages too and make them available to readers across the world” said Sanjeev Jha, Director – Kindle Content, India. KDP is a fast, free and easy service for authors to self-publish their books in digital format to a global audience and receive up to 70% royalties on the sale of their eBooks. At present, nearly 20% of the Top 100 books on the India Kindle Store are self-published through KDP. The contest is open for submissions of original and previously unpublished content across all genres in English, Hindi and Tamil languages. Participants need to visit kdp.amazon.com to self-publish their book on amazon.in while enrolling it in KDP Select program. All eBooks entering the contest will be available on Kindle as well as the free Kindle app for iPhone, iPad, Android phones and tablets, PC and Mac as well as Kindle E-readers. For more information, authors can visit www.amazon.in/pentopublish. 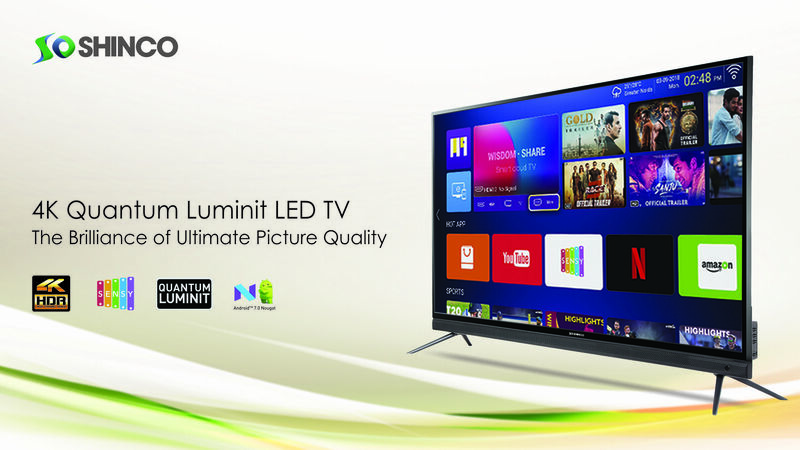 Videotex has announced its launch of it’s new brand Shinco with a range of 4K Ultra HD Quantum Luminit SMART LED TV’s which comes with an enhancement in the Design industry, R & D functioning and Hardware-eminence with Ultra-slim screen fluency, for the Indian Consumers. The S43QHDR10 model of Shinco, is exclusively available on Paytm Mall (INR 26,990)(25% Cashback on Paytm) , the model S55QHDR10(INR 36,990) is exclusively available with Amazon and S50QHDR10(INR 29,990) is available on both Amazon and Paytm mall, embracing amazing cash backs on (PAYTM only) and No Cost EMI offers. The price range of the 4K Ultra HD SMART LED TV’s is from INR 26,990/ to INR 36,990/-, making Shinco as a stiff competition for other Domestic and Global Players. The range of 4K Ultra HD SMART LED TV’s - S43QHDR10, S50QHDR10, and S55QHDR10 - with cutting edge Quantum Luminit display is fused with a Wide Color Gamut that supports 95% NTSC and the HDR10 is available in 109cm (43 inches), 124cm (49 inches), and 140cm (55 inches) screen configurations respectively. This range further enhances picture quality and colour expression experience with the help of its 4K-HDR Technology to deliver a lifelike and awe-inspiring experience for the viewers. The range of 4K Ultra HD SMART LED TV’s is empowered with AI powered by SENSY. The Sensy TV guide Application installed in the Shinco Tv’s allows you to create a wall of moments as you view content from your Set-top box. From recently watched to upcoming movies, your favourite tv shows to your scintillating music, everything comes on your Smart TV, allowing you to operate your TV with just your tv remote, by fixing the detachable Sensy IR Cable, which comes along with the TV. This is not just it, Shinco has accomplished to root ‘Voice Recognition’ feature into the Smart TVs, that allows the users to command the TV via the Sensy App installed on the user’s smartphone. Speaking of the Remote, Shinco comes with an “Air Click Remote” designed with a QWERTY Keyboard, which allows seamless operations possibly from any corner of the room. Shinco’s TV model S43QHDR10 comes with Box Speakers and the Model Nos. S50QHDR10 and S55QHDR10 offer a Built-in Sound Bar powered with Boosted Tweeters- which simply raises the Bar of Sound with a cutting edge in the Domestic and Global Marketplace. Talking about memory capabilities, installation and downloading potentials on the part of users goes limitless in the presence of 1 GB RAM and 8 GB ROM. A click is all you need! The 43 inch 49inch, 55 inch range of Shinco Smart TVs operates using Android 7.0 Nougat which allows the customers to explore the internet be it videos, applications, music, and other online content. Shinco enhances not only the user experience but also the size of viewing from a 6 inches mobile screen to now the 43 inch ,49inch, 55 inch tv screen vieiwing, be it Netflix, Amazon Prime, Hotstar and other similar entertainment applications as a soothing sight for the eyes. Having a network of more than 800+ service centres, Shinco offers its services PAN India. The 'Shinco' app is available on Google Play Store allowing you to easily drop-in a request for installation/repair of your device or register your product online. The app also helps you find a service centre near you and contact an agent for fast repair turn-around.